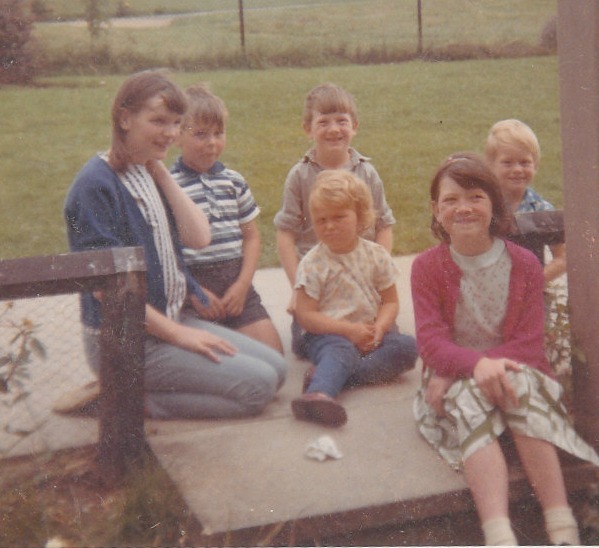 Me (in the pink cardigan), my sister and brother and other children waiting. Probably for our supper. What's the difference between now and when I was a child? Mostly waiting. We were good at waiting. We waited for everything. It didn't matter so much as days were longer, summers sunnier and winters shorter and full of snow. What magic land did I live in? The same as everyone else in the 1960s. I lived in England, just North of London, so compared to Cardiff where I live now, the summers were sunnier and the winters drier and full of snow. We waited for everything, nothing was fast. Except our neighbours car. That was very, very fast. It was an Aston Martin. Just like James Bond and they lived in a council house like us. They became rich selling scuba diving equipment. They are probably famous in the scuba diving world but they were once poor, then rich, then they moved away. I don't know where they went. Somewhere posh I suppose. Anyway back to waiting. 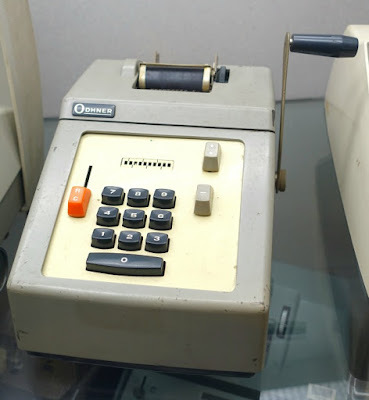 No computers, no digital anything, no supermarket tills that worked out the change, no mobile phones, no instant photo's. No, just lots of waiting. We had only two channels and both in black and white. It wasn't until 1967 that BBC2 came along with colour. We knew who had colour TV as they had a different aerial on their chimney. Circular not straight. We also had to wait for the valves in the TV to warm up before we could watch it. This took about five minutes and the waiting seemed like days. 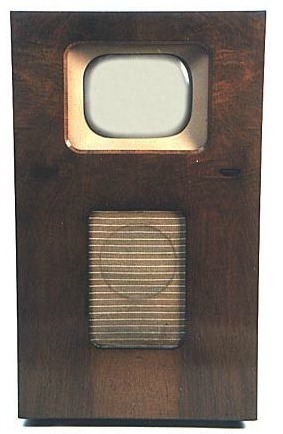 TV programmes were only shown in the evenings and closed down quite early. There was very little aimed at children except Watch With Mother at lunch time. My mother was always busy so we didn't watch it with her. 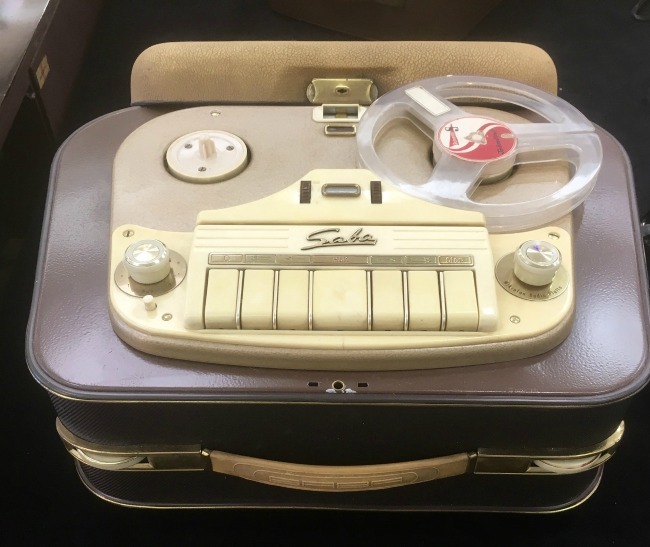 We had wireless, vinyl records and reel to reel tape recorders. If we wanted to tape a song we had to put the tape recorder next to the radio, sit quietly and wait. Then press the start button and hover our finger over the stop button to stop recording. Then along came the transistor radio. These were small and portable and the sound was tinny. Not tiny, tinny like listening to it in a tin can. We could now listen to our music in our rooms. Not those big band sounds, classical music or brass bands. We had rock'n'roll. Pop. The Beatles. Rolling Stones and Elvis. We could tune in to the pirate stations and listen to Tony Blackburn (I know but I was very young) or my favourite Luxembourg 208. I've already mentioned TV and radio but the best thing in the world was Saturday Morning Cinema. All across Britain children gathered in community centres and church halls to watch the latest instalment of some action hero. I don't remember what the shows were called, just that every week the hero would be facing certain death and the following week he would miraculously survive. I had a suspicion that his dilemma changed over the week. He would be falling from a cliff one Saturday and the next instalment would begin with him holding a rope tied to his horse who would pull him to safety. There was no rewind then. Waiting........waiting.....maybe six months or more to see the pictures from the day out or birthday or Christmas. Buying film and developing it was expensive so a film had to last more than one event. If we were lucky we would actually remember what the photo's were when we got them back. "Who is that woman in the hat?" 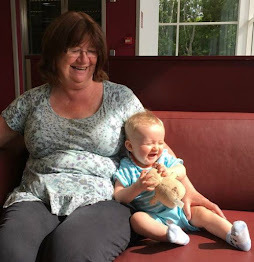 "That's great Aunt Whatsit. She's been dead a decade." We could only take photo's in daylight as flash came in cubes and one would last for four photo's. The cubes were very expensive. There were flash guns but they were for photographers not for snaps. Film had to be wound onto the camera reel without exposing too much. 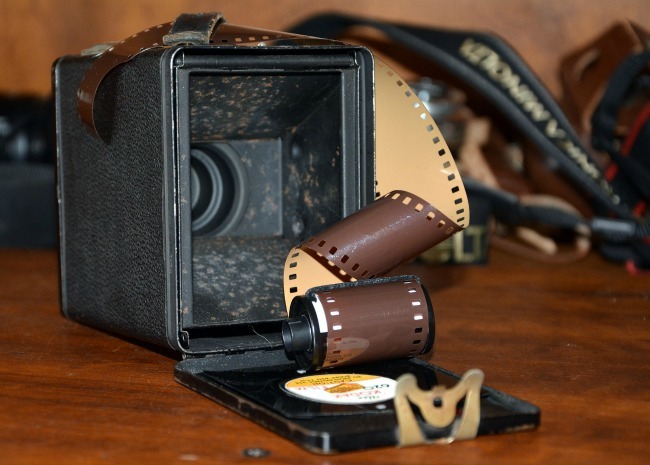 Once our film was finished we would then take it to the shop to be developed. We could only go on a Saturday as the shops closed by five and we never had time to get there in the week after work or school. We would then wait a week for the pictures to come back. Quick Print! Only 7 days! The signs would shout. We thought that was a pain even then. We wanted our pictures now. Then along came Polaroid Instant photos. Except they were all mauve and faded in a few years. We of course never had a Polaroid, no, they were too expensive. We had a washing machine, it was a top loader that you filled with hot water and then watched the washing get tangled around the central paddle. The washing then had to be lifted out and put through the wringer. We had to use large wooden tongs as the water was so hot and the wringer could crush your arm if it went in. 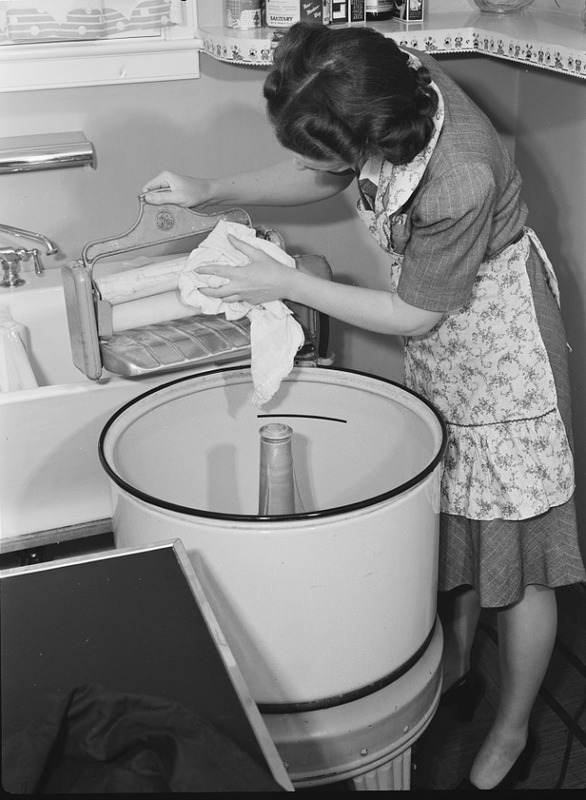 When all the washing was done it had to be rinsed in the sink and back through the wringer. We had a separate spinner that jumped across the kitchen floor so you had to hold onto it and make sure the bowl was underneath to catch the water. Then the washing was hung on the line to dry or on wet days put on a rack in front of the fire. We only had an open fire in the front room. Some houses had gas fires but we didn't. We also lived in a smoke free zone so had to use smokeless fuel not coal, which took ages to get going but it supposedly lasted longer and burnt hotter and cleaner. Every morning the fire would have to be remade, the ashes scraped out and then we would wait for the fire to warm up the room. I was always cold in the winter. 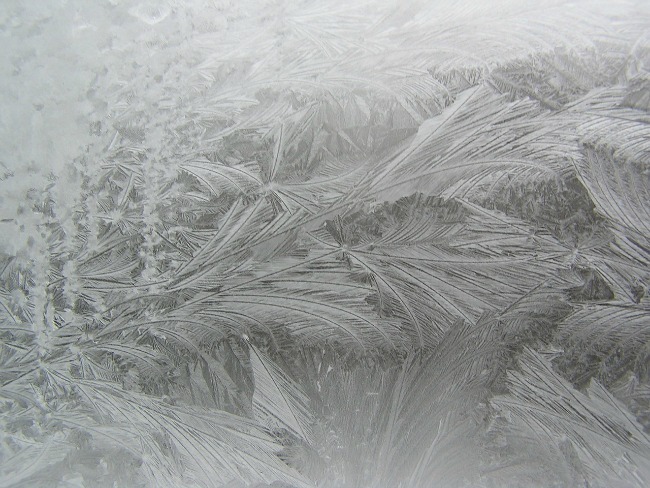 Ice would form on the insides of the bedroom windows and we all went to bed with hot water bottles. No-one would leave the living room unless necessary as it was the only warm place. It's hard to believe now but I did our weekly shop alone at the age of 8. I took a list and a pushchair. I went to the local shop and piled the pushchair with the shopping. Bags hanging off the handles, in the seat everywhere. I didn't have money I had a Co-op number that I had to remember and my mother would pay for the shopping in the week. I still remember it, 2977. It was like the pin for a credit card, It mustn't be written down, it had to be remembered. Against each item on my list my mother wrote its price and at the bottom how much it would all cost. Thirty shillings (£1.50p) was our limit so she had to make sure that it didn't go over. I had to make sure that the amount she said was the cost of the shopping, not a penny out either way! Sometimes I would take my brother in his pram, if I was just getting bread or something small. I left him there once. When I got home my mother asked where my brother was. I have never ran so fast but he was sat in his pram watching the world go by, none the worse for being forgotten. We also had an early closing day. Not everywhere had the same day but for us it was Wednesday. The shops all shut at lunch time and of course only newsagents were open on a Sunday. There were rules about what you could buy on a Sunday. You could buy newspapers, cigarettes and chocolate. You couldn't buy greeting cards. The newsagent would "give a free" card with a box of chocolates if you gave them some extra money. Weirdly you couldn't buy a bible on a Sunday either. Cigarettes but not a bible. Those were the days. It was a long slow process. You wrote a letter, posted it, waited, then got a reply. We did have phones but not everyone had one in their home. 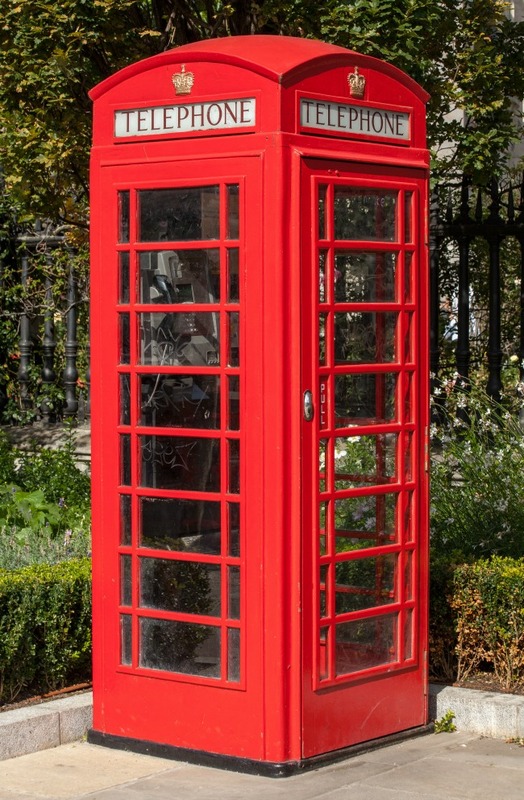 The phone box on the corner was all that most people had. We would arrange a time and wait by the phone box for the person to ring. Typically there was always someone in the box or people waiting outside. The phone would ring and we would all wait to hear who it was for. If it was for you but you were at the back of the queue you would get stares as you meekly took your call. If you needed to contact someone quickly then we sent telegrams. These were expensive. You paid per letter so they were kept short and to the point. Telegrams with bad news always had a little cross on the back. We would turn the envelope over to see if there was a cross to prepare ourselves for bad news. I was still receiving news this way in the late 1970's after I had moved to Cardiff. One plus one will always be two but what if you needed the square root of a number? 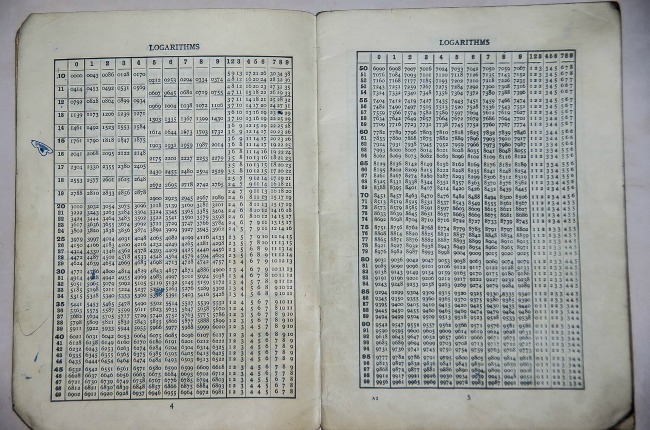 We didn't have calculators we had logarithm tables. A little book that you could look up the answers to all things mathematical. If you were an engineer then you had a slide rule but that took years to master. 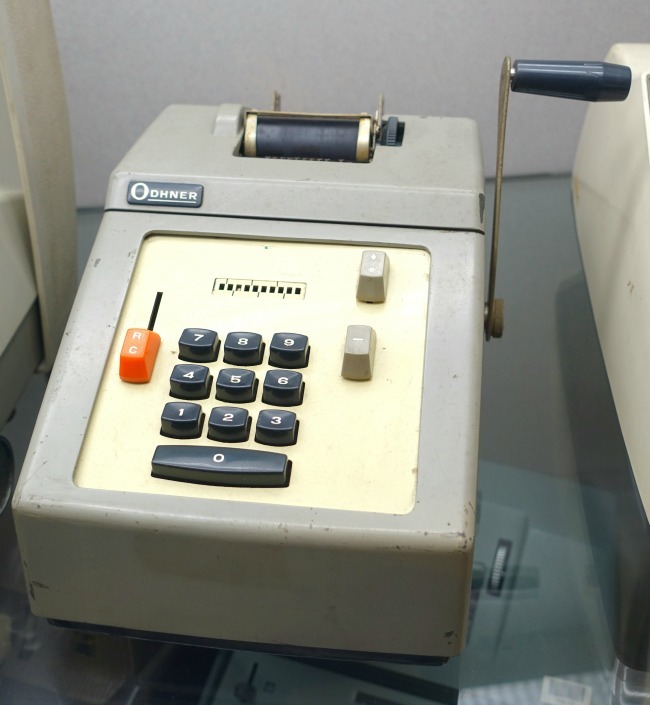 If you needed to add lists of numbers then you did it in your head, or with an adding machine. One mistake on the machine and you had to start all over again. Despite all the waiting, times were simpler. The roads were quieter and it took longer to get anywhere. We were allowed out to play, in fact we were encouraged to go out and we only came back for meals. We shared bikes and roller skates. I never had a complete pair of skates only mismatched or usually only one, abandoned from my older sister I imagine. We used to put an old annual on them, sit on it and race down the hill. There was a big divide between boys and girls. 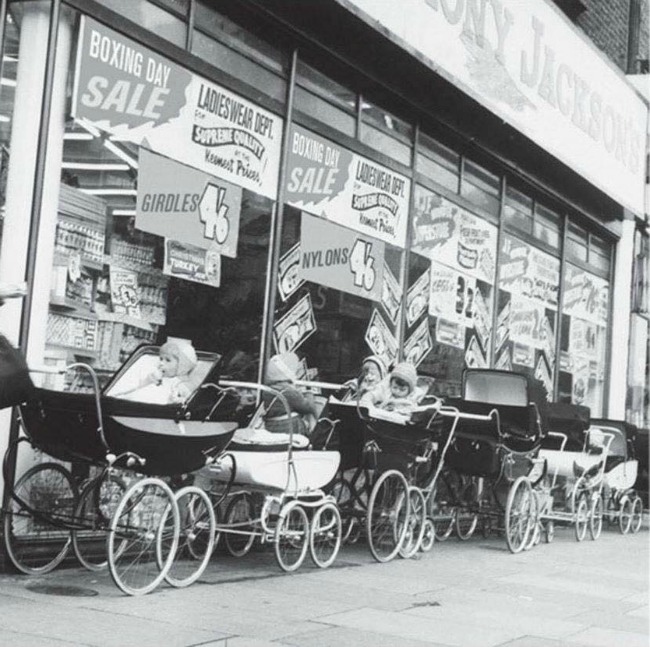 Girls were expected to play with dolls and prams while the boys had "trolleys" made for them by their dads. 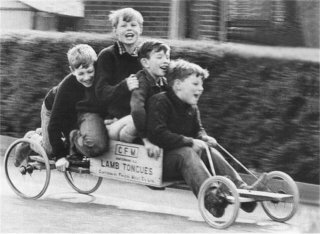 I was a bit of a Tom Boy and although the picture below isn't of anyone I know it could have been of me and my friends as we whizzed down the road completely out of control but having so much fun. That was my early childhood. The good old days! Did you ever ride on a skate or a home made trolley? All photo's are my own, royalty free images or in the public domain from wikimedia unless otherwise attributed. The world is such a different place now isn't it? Just the other day Chris and I were talking about how all Squidge has known is touch screens? He still doesn't quite get that the TV isn't touch screen :) What an amazing time for him! This is a brilliant post! The phone box really made me laugh! I can't believe telegrams were still sided in the seventies, My mum had one of those tape recorders too! Im so glad I don't have to wait for things like washing and heating now though! Thank you Donna for taking the time to write such a lovely comment. The worse thing was having to turn the TV on 10 mins before the programme started.